new, lovely and cozy apartment on the outskirts of St. Margen. 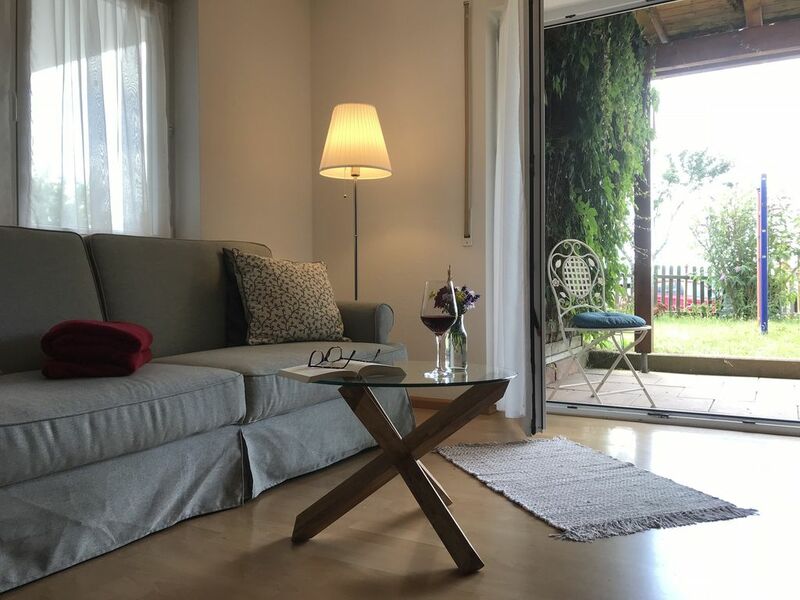 The apartment (50 square meters) has a living-dining room with fully equipped kitchenette, a bedroom, a bathroom, a separate entrance and a sunny covered terrace. The apartment is located on the southwest edge of the village, in the immediate vicinity of the old monastery complex. The ideal starting point for hiking, cycling, cross-country skiing and relaxing at 882 meters above sea level overlooking the Feldberg and on the Schauinsland. During your stay, you can use the Konus guest card for free bus and train and explore the area. Wonderful panoramic position with views to Feldberg, Schauinsland and Vosges.